A Good Burger sequel is in the works. That is, if Nickelodeon decides to give it the greenlight. Photogs caught up with "Good Burger" star Kel Mitchell outside of A Simple Bar in Los Angeles recently to grill him about a sequel to the cult classic and he's totally down. In fact, he and his co-star Kenan Thompson want to bring the 90s teen comedy film back on the scene to gives us all the nostalgia feels. Last week, the "SNL" star revealed to "What What Happens Live" host Andy Cohen that they're both down to do a Good Burger sequel. Now, Kel is confirming the news. "The conversations have already started," Kel confirmed. "Definitely down. We have talked. We've had meeting. Kenan talked about that. We definitely did." Apparently, there's an issue with Nickelodeon execs about how the sequel will be written since there has reportedly been a lot of turnover at the top of the network. However, Kel seems optimistic that it will eventually happen. The "Game Shakers" actor said after reuniting with Kenan for a "Good Burger" sketch on "The Tonight Show Starring Jimmy Fallon" three years ago is what kicked things in gear for a possible reunion. He also said he's open to doing the sequel with the original cast of Nickelodeon's "All That." Over the years, there were rumors that Kenan and Kel were feuding, but that's not the case. They just have a lot of things going on in their lives separately, which sort of forced them to go their separate ways. 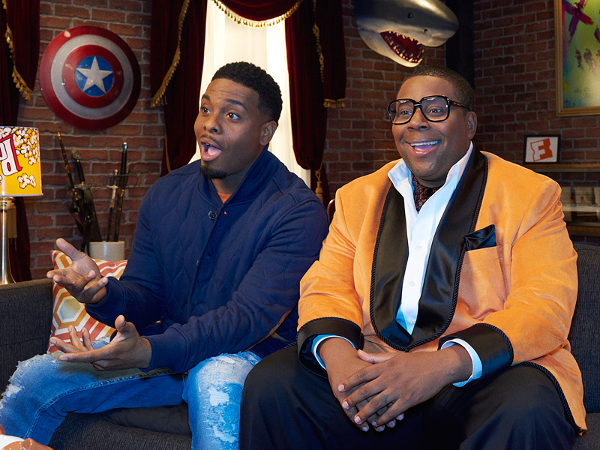 Kenan has been doing "SNL" and Kel stars on the Nickelodeon show "Game Shakers." “It wasn’t so much a feud, but when you see two people doing so much work together and then you don t see that people just assume that there’s beef or whatever, but we just had different lives and different paths at the moment and now our paths can come back together, which is exciting for me,” Kenan told PEOPLE in 2016. By the way, Nick Cannon is a former "All That" star. We're here for it! Come on, Nickelodeon. Make it happen. Last season, we saw 9Mag honcho Ryan Henry trash his tattoo shop and open up a new spot in Chicago. The rest of the crew decided to take over the shop as part owners, however that ish didn't last long. Because, busines skills. By the end of the season, Ryan was able to get his original shop back. And apparently, the old gang is the new gang. This season, as new artists emerge and familiar faces return, the crew strives to salvage the true identity of 9Mag. Ryan reclaims his throne as the shop’s boss and Chicago’s tattoo kingpin. He is also finally putting himself first professionally and personally after recently becoming single. Van is still wearing his 9Mag tattoo with pride and refuses to be excluded from the team. Charmaine tries to navigate life after Loyal Ink, but misses the excitement of the old crew. Don is repairing his marriage and stepping up as a leader in the shop. After making strides in his music career, Phor is hopeful about the future of 9Mag. Lily has a renewed focus on her work, but won’t tolerate disloyalty. Season 5 of "Black Ink Crew Chicago" premieres on Wednesday, January 2nd at 9PM EST. Y'all ready for the shenanigans? 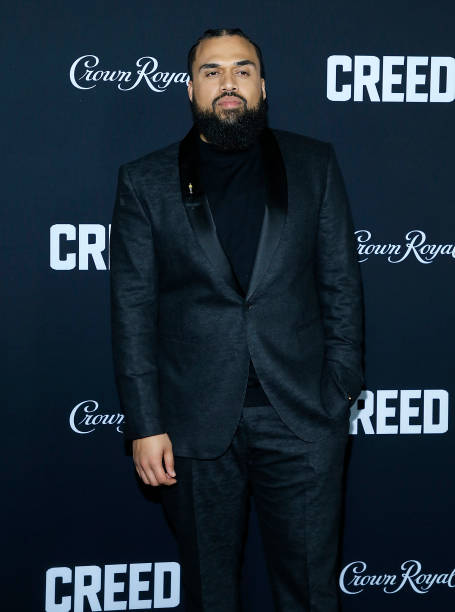 CREED II director Steve Caple Jr. is making history! The boxing sequel has grossed more than $100 million, ushering him into an elite group of black directors. He's now the fourth black director in 2018 to have a $100M grossing film domestically. Nice! For this year, Caple Jr. joins Ryan Coogler (Creed director), who had the blockbuster Black Panther ($700M, 3rd all-time domestically, & the top grossing film this year), Antoine Fuqua, who directed Denzel Washington in The Equalizer 2 with $102M, and Ava DuVernay, who became the first Black female to direct a $100M grossing film with A Wrinkle in Time ($100.4M). All four films have Black leads. In 2017 Jordan Peele (Get Out), F. Gary Gray (Fast 8) and Malcolm D. Lee (Girls Trip) had crossed that mark. NEXT: THE GOLDEN CHILD IS HERE! Remy Ma & Papoose Welcome 1st Child Together After Tough Labor...It's A GIRL!